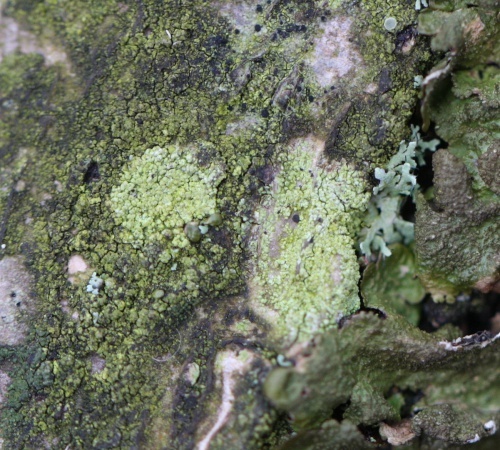 Thallus a bright green to brownish crust, cracked and minutely but conspicuously covered by rounded warts, often with green soredia, which may dominate the thallus surface; apothecia brownish black, about 1mm diameter, flat with a thin 'proper' margin, more convex when damp. Widespread on twigs and bark, more common in damp woodland. Widespread, particularly in the west of Britain.